One of the most difficult things to do when you own or run a business is to find the time to learn, to hear about the experiences of other business people. Podcasts are ideal for busy people, you can listen while you walk, drive or even washing the dishes. Welcome to this episode of Eddie Senatore Talking Business, based on our monthly two-page newsletter. In this episode, we take a look at the current state and near future of the Australian real estate market, with special guest Harley Dale from the Housing Institute of Australia. With the real estate market in maturity, you may be wondering whether or not real estate is a worthwhile investment for you. If you have some questions, Harley has some great insights on what the market’s like that you need to listen to right now. Australia had a record building boom a few years ago. That was largely in the supply of detached and semi-detached housing. These days, demand for housing has shifted to medium-rise and high-rise multi-family housing, which represent the bulk of the the new stock on the market. Growth in this space has largely been on the eastern seaboard of Australia. Other parts of the country have not seen growth to the scale that has occurred there. One only needs to look at how the market is reacting to current housing projects in development to see how strong demand is. For instance, there’s a large multi-family housing project in construction right now in Canberra. It won’t be completed for at least another 6 months. Despite the wait before the first tenants can get their keys, 95% of the occupancy in the building is already accounted for. Demand like this helps explain why real estate experts continue to see strong gains in the asset value of real estates across much of the country (outside Sydney). Harley would love to give us strong, detailed predictions about what the real estate market will be like in the next few years. Unfortunately, the federal election looming on the horizon is making it difficult. WIth a regime to be decided on by voters next year, policies could be very different or very similar to those seen today. An opposition party has already demonstrated interest in real estate policies quite different from those supported by the current government. As we follow the polls and see where the candidates really stand as the country goes to vote, we’ll be able to have greater certainty as to what investors can expect. Welcome to the final episode in our series of Eddie Senatore Talking Business, based on our monthly two-page newsletter. In this fifth installment, we look at how a business passes through the expansion phase, and settles into its lasting state of maturity. At this phase, we’ve made it! We’ve survived, we’ve got our finances intact, we’ve got growth and then expanded. Now we’ve been in business for 20-to-25 years and need to look at the big picture. You and your company will be facing existential questions as you decide where to go from here. Let’s say your house-building company has been at it for over 20 years. Now is the time to be asking yourself some lifestyle questions. Do you want to still be in business? Do you want to leave it as a legacy to pass to your children? Or do you want to start something else and sell the company? What about just retiring and living by the beach? Make sure you identify your values and figure out what you really want out of the rest of your life. You also need to worry about marketplace transformations and stagnation. Has the marketplace changed so much that new competitors are threatening the company with cost-effectiveness or value propositions? If that’s the case, you may need to be innovative to stay relevant. No company is immune to this. Even a company like McDonald’s is much more different than it was a few years ago, with new offerings on its menu, a dedicated cafe, and automated self-serve kiosks to provide more modern service. Even at maturity, the business will need to do a lot of work to stay afloat. Finally, you need to set a succession plan. You’ve spent so long building the business to where it is now, but how do you maximize its value for the future? It’s hard to do that without a plan for a future when you let go of the reins. If you have a passionate management team, then you may be able to find a potential successor from it? Perhaps you could sell your shares to a successor over time, and gradually cede control of the company. It takes a long time to get succession plan to work so make sure you start thinking of one early to get it done right. Congratulations on the success of your business. At this stage, the future is what you make of it. You just need to reflect on what you want and make plans accordingly. Welcome to the next episode in our series of Eddie Senatore Talking Business, based on our monthly two-page newsletter. In this fourth installment, we look at how a business passes through the growth phase, and moves successfully to expansion. At this phase, you have to do more holistic management of the business. You’ll be stepping back a bit from the day-to-day while your team completes business tasks, so you can guide the company at this critical stage. Smart planning and good organizational processes are the keys to success here..
After expansion, you’ll be wrapping things up in the final phase, namely, maturity. Let’s say your house-building company has gotten great word-of-mouth from happy clients. Your new prospects have opened up more sales avenues for your business, such as building commercial units as well as residential homes. These new product lines may lead you to expand geographically. Make sure your team is ready to step outside the city limits and deal with customers further away from home. Management will be your predominant focus at this phase. Not only do you need to keep your customers happy, you need to keep your staff’s morale up as you expand into new areas and product lines. As well, you need to keep an eye on cost control and your supply of inputs as you scale. To ensure that you stay on top of this, harness your information management system and chart out what is happening in your business regularly.With your business growing so much, external factors affecting the marketplace will become more relevant to you. Keep on top of industry news, so you can anticipate issues like skill shortages in the area you’re working in. Finally, you need to stay on top of your time management: Now that you’re expanding so quickly, you may find yourself feeling pulled in multiple directions. If you don’t plan out your expansion in advance, you will have more of a pull on your time. Get a good structure in place with the right professionals so you can spend the time you need managing the business as a whole, and not worrying about the day-to-day as much. Getting through expansion will be highly rewarding. It leads into maturity, where the business has finally “made it”, with a great structure in place and the stability to weather whatever the future holds. Now that you’ve expanded the company, join us on our last episode, where talk about the final phase, maturity. 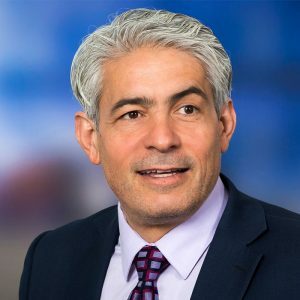 Welcome to the next episode in our series of Eddie Senatore Talking Business, based on our monthly two-page newsletter. In this third installment, we look at how a business passes through the survival phase, and moves successfully to the next phase, growth. You’ll be dealing with similar issues as you did in the survival phase, but now you’ll need to deal with them on a more sophisticated level. The beauty of the growth phase is that you can devote more time to management and less time to actually doing the labour yourself, but without a smart grip on the major issues, you could stop your business in its tracks. After growth, you’ll be looking to another two phases, namely, expansion, and maturity. You need to look into controlling your sales. Where your house-building company built 1 house, is it going to scale up into building 4,8,12,or 24? If the house-building business gets sales by undercutting the marketplace, scaling up high means handling skinny margins on each sale. If you’re not very careful here, this might mean you’re not covering your fixed costs, which could mean overdraft and interest payments.Make sure you control how your sales translate to cash flow. Next, you need to attack overtrading before it hits you. While having more work is great, you’ll be needing more supplies and staff to deal with the demand, meaning a greater capital investment. This could snag you into overtrading and expose the company to losses. For example, if our invoicing isn’t timed right, you could need to get a steep loan to pay your suppliers while you wait for your clients to pay. Lastly, you need to deal with your supply of inputs: Now that you need to buy more stuff to serve your clients, you have to look into how cost-effective your acquisition regime is. Do you buy in bulk? Can you get a better price somewhere else? Do you stay with the same supplier, where you’ve built up a relationship? What if you get into a new product line, building a different style of house to draw new customers? You’ll need more technical staff and expertise to deal with that demand. You need to get a grip on your limits. Are these issues going to blow out your business? If you don’t deal with them in a sophisticated way, they just might. While it’s tough to deal with these new problems, getting a grip on them means developing a sophisticated understanding of the workflow of your business. Doing well in this phase will set you up nicely for excellent growth. Now that you’ve grown the business, join us on our fourth episode, where talk about the next phase, expansion. Welcome to the next episode in our series of Eddie Senatore Talking Business, based on our monthly two-page newsletter. In this second installment, we look at how a business passes through the startup phase, and moves successfully to the next phase, survival. Eddie goes over a number of common issues businesses will experience in this awkward stage, where they have more traction than a startup, but less stability than a company that can really double-down on growth. Survival is where things get interesting, as you’ve got more sales and the opportunity to really differentiate yourself in the marketplace early on. After survival, you’ll be looking forward to another three phases, namely, growth, expansion, and maturity. Straightaway, you’re looking at cost control. Let’s say you run a house-building company. You need help to deal with the additional work you’ve taken on, so you’ll be taking on new staff. Then you might be running into unplanned expenses, such as needing new supplies for more complex projects. Make sure, as you grow, that you avoid cost overruns, which could mire your company in debt. If you can avoid them, you’ll be in great shape for future growth. Next, you need to look into building an internal information system. Now that you have more information about how your business’s operation, you need a systematic way to deal with all that data. Whether it’s a digital approach through spreadsheets or accounting software, keeping track of it manually, or through hiring a third-party accountant, you can’t make forward-looking decisions about your business without real metrics about its operations. Speaking of looking forward, this is a good time to think about market differentiation. After going through the startup phase, you now have a sense of what your competitors do. This leads to great ideas for strategic planning. Can the company compete on price, or on value? Last but not least, watch out for overtrading. While it’s great that your company has more work than it did in the early days, you may wind up taking on debt and burning out if you’re not careful. Doing too much at the same time means a need for greater cash flow (such as paying suppliers before getting paid by a client if a project takes longer than expected). This means debt and interest costs. Make sure you keep your business’s timeframes in consideration to avoid time and cost overruns. Although these issues can sound a bit spooky, every business faces struggles at different phases. Success relies on anticipating problems before they start, so you reduce the number of fires you have to put out! Now that you’ve survived, join us on our third episode, where talk about the next phase, growth. 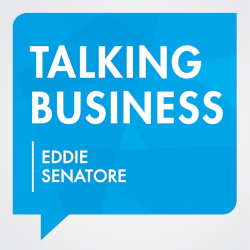 Welcome to our Talking Business podcast series on the lifecycle of a business with expert Eddie Senatore. He’s shared with us a great overview of what it’s like to run a business, from initial startup to maturity. Here we go over Phase 1: Startup. A new business has no initial credibility in the marketplace. You’ll need to work hard to get your first sales. Until that happens, you need to manage your fixed costs (office space, manufacturing, and so on).That may mean running losses for a while, taking on debt to cover costs. You’re the founder, so of course you’re passionate and enthusiastic and happy to do the work. However, there’s lots to be done and these tasks will need to be tackled in a systematic way (e.g. managing finances, running marketing campaigns, designing products). With return on investment being small or negative in the early months, establishing these systems so you can scale effectively is critical. You’ve delivered products and/or services to a client. They haven’t paid you yet. Your suppliers are wondering when you’re going to pay them. Do what you can to bring some sanity into the cash flow process. Once you’ve managed to tackle these first few items, you need to plan for the future with good reports. How much travel did you do? How many sales did you have? Where do you see the company going in one month, six months, two years? Always keep your financial planning in mind. A strong grip on these challenges from the get-go can make a big difference for the future health of your business. A business may fail for a number of reasons. In general, external problems exacerbating internal issues can create a crisis. Eddie talks about the challenges a business will face in the initial, startup phase. Eddie’s looked at the literature, and a lifecycle analysis is really helpful for looking at critical factors in business success. The first phase in a business lifecycle is startup: you’ve got a good business idea and want to pursue it on your own terms, so you start a business. The next phase is survival, followed by growth, expansion, and maturity. More on those in the next episodes. Let’s look at the problems you might face at the startup phase. First, you’ve got to go out and get some sales, which is really hard at the beginning. You may be running into losses, which means not covering your fixed costs from business revenue. Since you need to put money into the business to keep it operating, you’ll likely have to pull money out of your bank accounts or take on debt to cover the costs while your business takes on losses. You’re going to be running thin on the ground. Another critical factor in the startup phase is management. You’re the enthusiastic founder, working really hard at it, but how do you scale from that? You’ll need a management plan, a marketing plan, a customer acquisition plan, and so on. That’s a lot of time put into establishing a business management plan, time that can’t be spent directly on sales. This means your revenue may not be that great while you plan the management of your company. The third issue is cash flow. You work for a client and invoice them. You’re waiting on payment. In the meantime, your suppliers are wondering where their money is, so you need to pay them. This can mean running into overdraft on your bank accounts, piling on more debt and interests costs. The last issue is financial control. This relates somewhat to the management issue we discussed earlier. Once you’ve got enough sales to start getting some good cash flow, you need to make financial plans for the future. You’ll be reviewing all your business costs to date. You have to look over what’s been happening in the business, what’s going to happen next month, and what’s going to happen in the next six months. It’s key here to invest time in planning and investing time into crafting good, detailed reports about the health of your business. Eddie’s sounding quite negative here, but it’s for a good reason. The downsides to a startup can be pretty horrific: you have no credibility in the marketplace and no business assets, so you’re putting your personal assets on the line to chase an entrepreneurial dream. Highlighting the negatives lets us tackle these issues from the get-go, allowing us to pursue this passion project within our natural limitations. If you don’t have financial management expertise, then you need to get on top of your budget on a regular basis to mitigate that. Maybe you should take a short online course on budgeting to get up to speed. As long as you’re planning and you know what your investment is, you can be prepared! Eddie speaks with Gregory Mowle, a researcher at the University of Canberra, about his research into bankruptcy; changing perceptions of bankruptcy and the ways people can move forward through bankruptcy. The second installment in Eddie’s “The Humans of SMEs” series, in which he speaks with Adrian Faccioni, a successful Canberra entrepreneur who built a globally successful piece of technoology, only to lose it all and then rebuild.